After choosing the subject for your extended essay, the next step in the research process is to define what your research is going to focus on - the topic. what are my possible topics? what do I know about those topics? Looking for a topic? Try using Questia's Topic Finder! Choose one of sixteen general subject areas from the drop-down menu, or for something truly random, leave it at 'All Subjects' and click the big SPIN button. Three topics will come up; click on one to see the related Questia resources. Carrot 2 is an Open Source Search Results Clustering Engine. 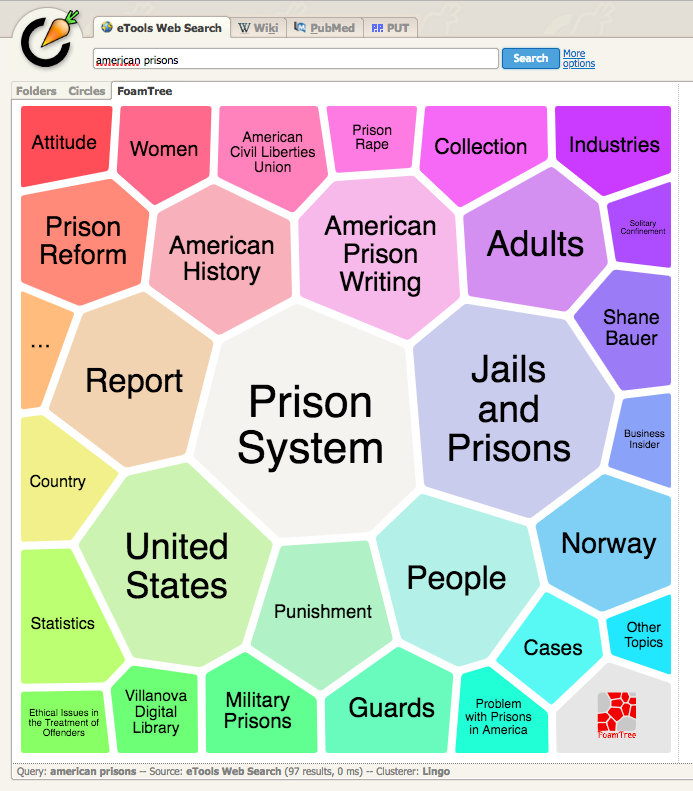 It can automatically organize small collections of search results, into thematic categories. It allows you options to not only see results in a list format, but also visually, like the images below. Spend time thinking about what you know about your topic. 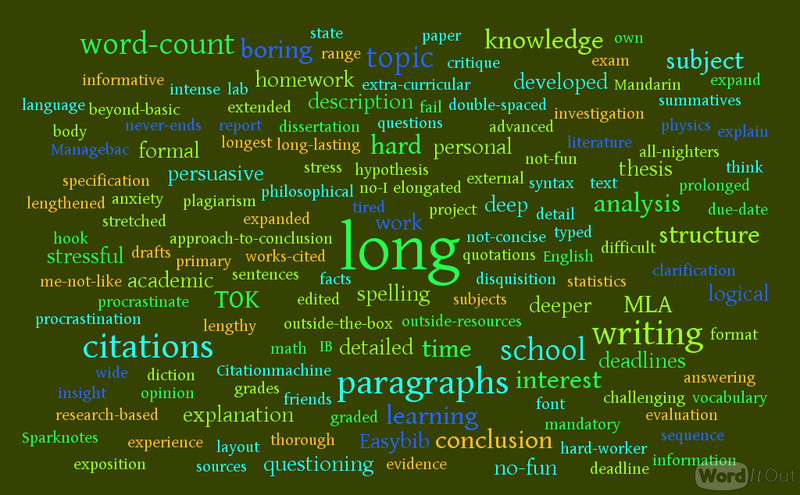 Write it down and then copy what you have written into https://worditout.com/word-cloud/create This will give you a cloud similar to the one below which will emphasize the keywords of your current knowledge. This will give you an idea of the key areas you already have some knowledge of and may highlight a potential topic you would like to focus your research on.